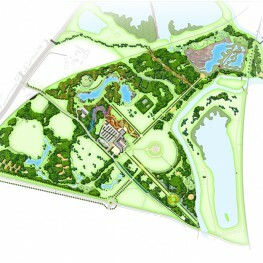 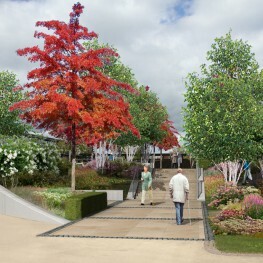 Following our masterplanning commission for the National Memorial Arboretum (NMA) we were invited to prepare designs for the new visitor centre. 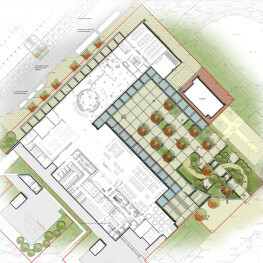 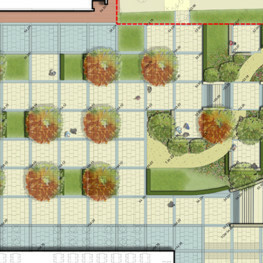 To enhance the visitor’s experience the landscape forms an important transition from the building into the arboretum as the design gradually softens from a plaza, incorporating paving memorials and used for formal events, into a garden meandering into the arboretum. 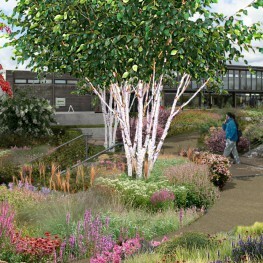 The planting scheme is based on a series of perennial mixes that are designed to create a transition from the built form of the Remembrance Centre to the wider arboretum by specifying more architectural and upright species adjacent to the Square, we have used more informal prairie‐style planting towards Millennium Avenue, drifts of perennials blend into a colourful mix of seasonal interest.